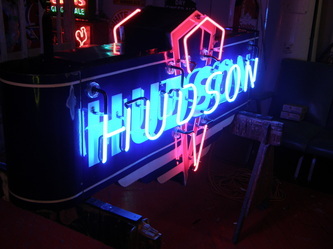 At the Neon Factory we regularly have people coming in with amazing restoration projects for us. Weather it be an old Neon sign that is in need of an overhaul to bring it back to its former glory or an awesome vintage sign that just needs that extra neon touch they come from all over North America to the Neon Factory's door to be brought back to life. We understand that the majority of the restoration projects that come to us are usually of great sentimental value to the customer and are often rare and expensive pieces. Which is why we take great pride and care in every job we do. As collectors our selves we treat every project as if it were our own and give it exactly what it requires to become something amazing. Below are various projects that we have worked on here at the Neon Factory. Note how some signs are restored to keep their age by keeping the patina in tact and even its years of dirt while others are restored back to mint like new condition. This is all in customer preference. Often with our own collection we prefer to keep the aged look to capture past and a sense of time. This Porcelain Sign was brought to the Neon Factory by a local collector who was looking to restore it into a stunning Neon sign! A thing of beauty this 19?? 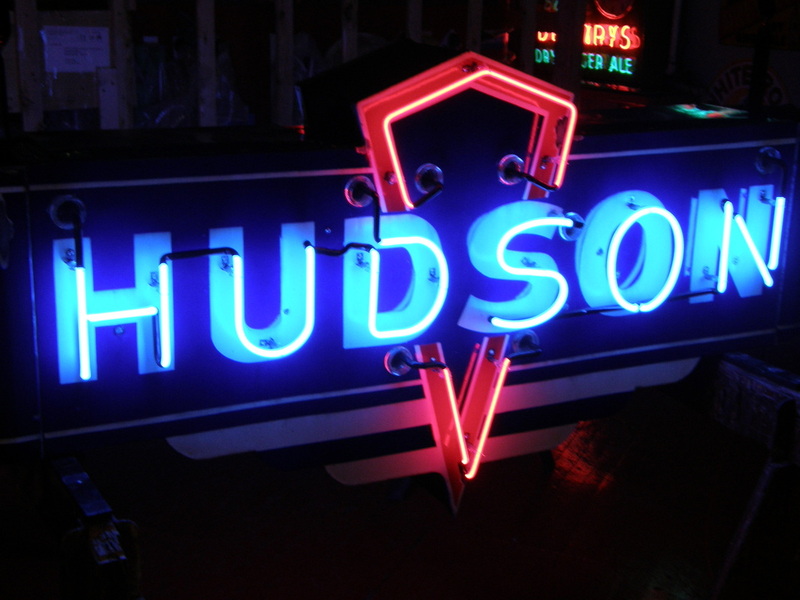 Packard sign was carefully converted and restored by the boys at the Neon Factory in to what now glows before us. This job called for a custom made box, housings, all new glass and more! What an awesome project and what great results!